RSG Seminar a Success | Hujambo! The seminar was held at ILRI, Nairobi on April 17th. The Regional Students Group of East Africa seems to be very active in Kenya (especially at ILRI, where the seminar was organized). The intended audience of the seminar was students doing a grad or undergraduate course in a field related to Bioinformatics. The slides for the presentation are here. The link to the slides is broken. Oh Alan, que pasó con el pelo? it’s just so short! Those slides were awesome dude. Am very much in linux nowadays. My pc is running ubuntu karmic! With virtualbox 3.0.x, wine 1.3 all compiled from source. Next time invite me to co-host a seminar. I know afew more tricks. Still hacking strong! ouu you put the server link… I’m gonna guess your old passwords and see if it works. Finally graduated in Dec big guy. Have to BA’s on my wall because they spelled my middle name wrong. But I think of it like 2 diplomas for every 4 years! How’s the job so far? Anything you want me to send over? Didn’t know if you made it through all the TV shows I sent. Gonna be moving out soon with the woman, hopefully near the beach if I can find the right rent price. Got a job through my IT company that I’ve been working for. Director of IT for the Picerne Group in San Juan Cap. On a side note I don’t know how expensive calling home is, but I have a few google voice invites if you still use your gmail account. You’d just need to setup a SIP phone. Its a awesome feature I use constantly. Hey Alan. Great work you are doing with Linux there. Happen to visit the ILRI neighbourhood every now. Adding you to my blog roll. Be good. Hack on. Thanks, just doin’ what I love. I’m glad you stopped by, it’s good to know there are more Linux enthusiasts in Kenya. Great-looking PowerPoint presentation. Usable and efficient! 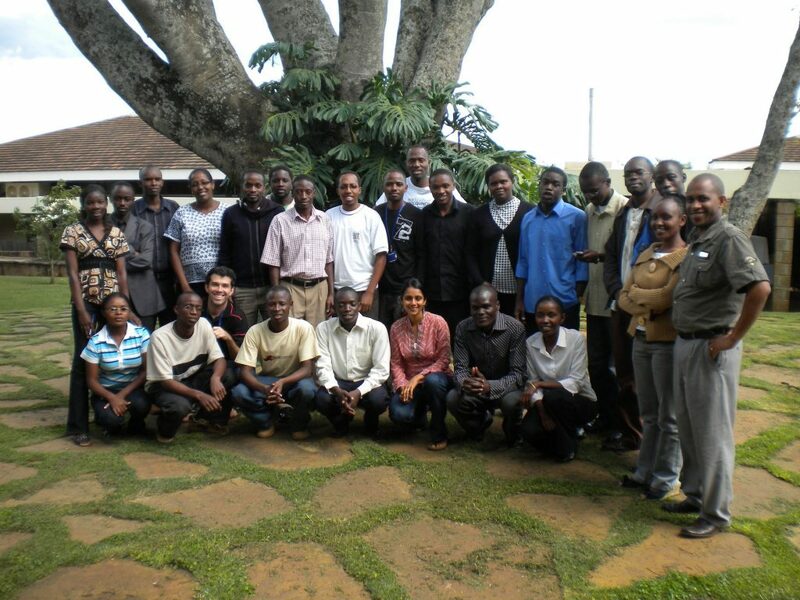 On behalf of RSG Eastern Africa, i have to say it was an honour to work with you on the Linux course! Now that it appears you don’t mind hanging around Kenya for quite some time (ahem…), we look forward to working with you even more!